Gage Models and Talent Agency books and represents models, actors, singers, dancers and industry professionals! Our models and actors can be seen on local, national and international ad campaigns, runway, television, commercial print, fashion print, soaps, sitcoms, industrials, documentary films, independent films, reality TV, web series, and feature films. Headquarters located in Knoxville, TN but staffing and booking talent throughout the Southeast US and service Nashville, Chattanooga, Atlanta, Asheville, and Charlotte as well as host Los Angeles and New York agents to meet and work with our models and actors. Local and national opportunities for all divisions and ages: Baby, Toddlers, Child Models, Pre-Teens, Teens, Adults, Mature & Plus. Every talent is special and unique, with different goals, dreams, strengths and attributes. We invite you to come and meet with an Agency Director, or New Faces Director, and tour our top notch facilities. 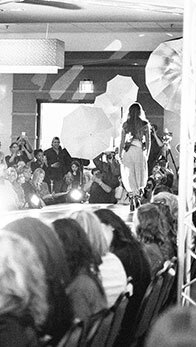 The Gage staff actively pursues opportunities to help ensure the success of their talent by striving to be the best in fashion, runway, glamour, acting, print, spokes models, and cover models. We welcome the opportunity to meet with you. Under 18 MUST be accompanied by a parent. 865-588-8815 for appointments or fill out our Contact Us form! 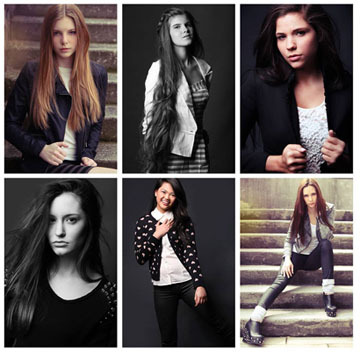 Gage Models and Talent Agency founded in 2003, brought a fresh perspective to Tennessee talent. We expanded national opportunities within the Knoxville market. Gage has the BEST talent in Knoxville, and works to promote talent to casting directors, film directors, ad agencies, photographers and runway coordinators. Gage wanted more high fashion, elite opportunities in the Knoxville area and started KNOXVILLE FASHION WEEK and CHATTANOOGA FASHION WEEK to great fanfare and success! Local models are able to build fashion portfolio tear sheets, and designers are launching their careers and ad campaigns from the Knoxville runways. These shows were so popular and successful TIME MAGAZINE and SOUTHERN LIVING interviewed Gage Models and Talent Agency to get the scoop, and having been interviewed by the Wall Street Journal on prepping talent for posing techniques, the national spotlight is where we love to be! Visit the Official Event Websites at Knoxville Fashion Week and Chattanooga Fashion Week. Thank you for visiting our website, please note the tabs on the left and you may search our talent database for the look and skill level you would like to hire. Call 865-588-8815 or fill out the contact us form and an agent will contact you within the hour to help staff your project with professional talent of all ages, and experience levels. Gage guys and gals, you MUST SUBMIT for our projects so we know that you are available for the casting or audition. Mark our castings tab as a favorite and check it often. Our castings update daily with new projects and job opportunities for the aspiring model, actor, singer, dancer or industry professional. We represent professionals in the area of: Makeup Artists, Stylists, Photographers, and Musicians. If you have talent, we can help you promote it!